Leaders from the East Asia Summit group of countries indicated they are concerned about the Rohingya refugee crisis in a statement released Friday on their meeting in Singapore. The leaders from the 18 countries said in the statement that they "discussed the humanitarian situation in Rakhine State, which is a matter of concern." 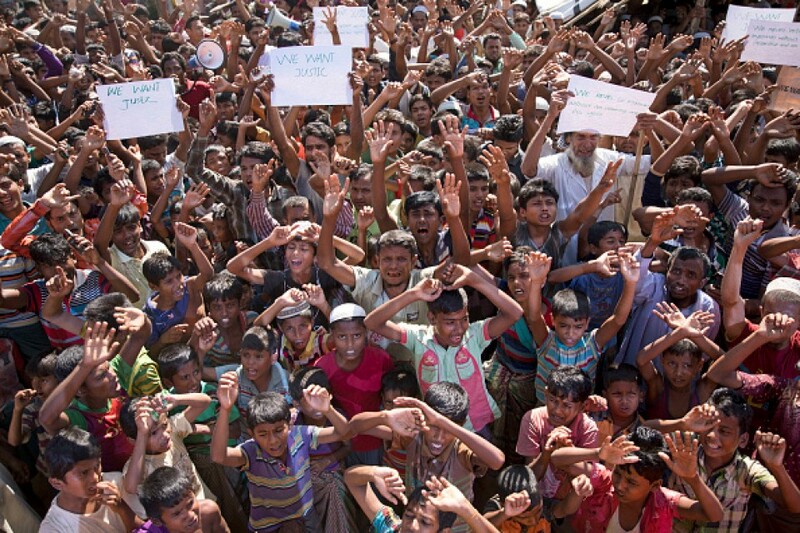 Noting that Bangladesh and Myanmar have agreed to repatriate the first batch of verified refugees to Myanmar in the near future, it said the EAS countries are willing to support Myanmar in the process of bringing back the "displaced persons," referring to the Rohingya Muslims. "We stand ready to support the repatriation process, and noted Myanmar's commitment to ensuring safety and security for all communities in Rakhine State as effectively as possible to facilitate the voluntary return of displaced persons to Myanmar in a safe, secure and dignified way," it said. It added that the leaders "expect the Independent Commission of Enquiry established by the Government of Myanmar to seek accountability by carrying out an independent and impartial investigation of the alleged human rights violations and related issues." 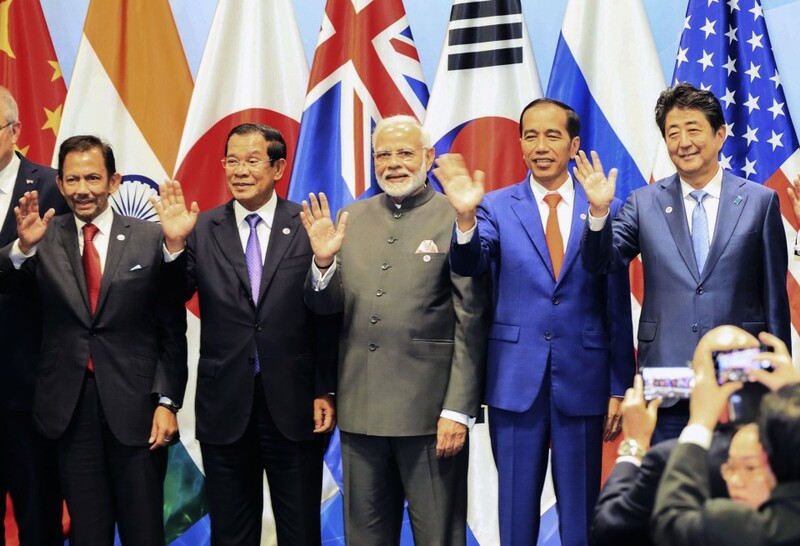 The EAS encompasses the 10 members of the Association of Southeast Asian Nations plus the United States, Russia, Japan, China, South Korea, India, Australia and New Zealand. The EAS statement echoed the phrasing of a chairman's statement issued on the ASEAN leaders' own meeting earlier in the week. ASEAN's statement also used the word "concern," marking the strongest language ASEAN leaders have used regarding the Rohingya crisis since it erupted in August 2017 and apparently defying their past policy of non-interference in the domestic affairs of member states. Myanmar leader Aung San Suu Kyi, who attended the summit meetings during the week, was severely criticized by U.S. Vice President Mike Pence and Malaysian Prime Minister Mahathir Mohamad. The EAS chairman's statement also said that the leaders see the need for regional action to tackle marine debris pollution in the region. They "recognized that marine debris pollution is a global concern and that cooperation in this area among EAS participating countries is instrumental to address the transboundary nature of this issue." They also "highlighted the importance of regional action and innovative solutions to prevent and reduce marine plastic debris in the region." The EAS statement also said that the leaders "expressed support for further strengthening maritime cooperation among EAS participating countries." After comparing notes on the issue of security in the contested waters of the South China Sea, the leaders "took note of some concerns on the land reclamations and activities in the area, which have eroded trust and confidence," it said. The leaders also discussed the progress of negotiations between China and ASEAN for a code of conduct on the South China Sea. The statement said some leaders "underscored the importance for the COC to be consistent with international law, including the 1982 United Nations Convention on the Law of the Sea." On the issue of security on the Korean Peninsula, they urged North Korea "to fulfil its stated commitment to complete denuclearization and its pledge to refrain from further nuclear and missile tests." They also said they "are committed to international efforts to bring about the complete, verifiable and irreversible denuclearization of the Korean Peninsula which will contribute to peace and stability in the region."